I bought my first home with the help of Rosalie and I have to honestly say that it was the best experience. Rosalie has a very unique understanding of what a buyer wants and matches you with the right one. I ve known Rosalie since 2004 and I would highly recommend her to anyone. She is the BEST!!!!! My husband and I purchased our first home in 2010 and had the pleasure of working with Rosalie Cook. Rosalie was very helpful from day one. She went out of her way to help find the "right" home for us, and was extremely patient while we looked at a lot of homes. She was not pushey at all, and made sure we understood everything about the process and walked us though step by step. Not only is she a great realtor, she is the nicest person you could meet. I highly recommend her to anyone looking to purchase a home. Rosalie is down-to-earth, responsive, helpful and a pleasure to work with! I would recommend her to anyone, it's too bad she only works with Orange County! I stumbled upon her while looking for a home, and she quickly addressed all my concerns and ideas. If you're in need of a good realtor, you cannot go wrong with her. Oh yeah - and she has a great team of resources at her disposal for lawyer and loans too! Even if you can stump her with a question she will get you the answer in a very timely manner. I own and operate Brice construction since 1983 and have worked with several realtors over the years but when I met Rosalie Cook 10 years ago I felt my team was complete. Rosalie truly goes the extra mile for every deal, she is hard working, honest and trustworthy. It's not often you can find someone you can trust with the amount of money that can be involved in some of these deals. I trust her to tell me what I need to hear and not what I want to hear. With Rosalies expertise and knowledge of her field takes a lot of the stress off of me so I can focus on the next project. I cannot say enough good things about Rosalie Cook. She was extremely helpful, very responsive, and a pleasure to work with during my family's recent search for a new home in Orange County, NY. 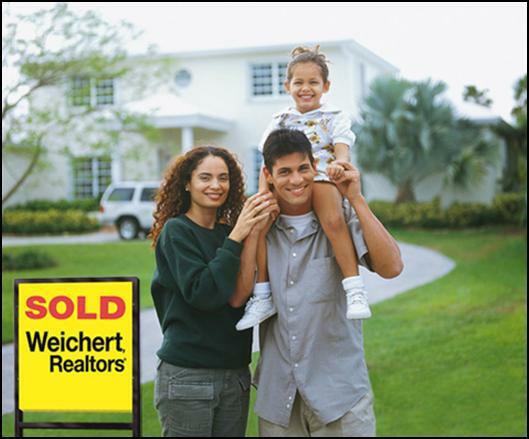 She is very knowledgeable about the area and experienced with the process of buying and selling homes. We could not have found our dream home without Rosalie’s help and I very highly recommend her to anyone looking to buy or sell a home. Rosalie was terrific and I would (and have already) recommend her to others seeking a home in Orange County. Her local knowledge and responsiveness are second to none. She found my family our dream home and I can't thank her enough. We are lucky enough to one day walk into an open house that Rosalie was conducting. It was the best thing we could have done! She was not only gracious and open during the open house, but once she became our agent she was able to ask the right questions and locate the perfect place for us. Her years of experience and her knowledge of the business was to our benefit. She found a place that met our wants and needs and did so with a smile. She was always responsive and aggressive on our behalf and even went above and beyond after the purchase of our place to make great recommendations on local business and retailers to make our move in seamless. Having Rosalie as our real estate agent was an extremly rewarding experience. She demonstrated her care for us as clients by promptly returning all calls, and understanding our needs as sellers. Throughout the process, Rosalie made us feel like she was selling our house as if we were members of her family. I am an Ulster County real estate attorney who was assisting a local client and neighbor's two children with the legal aspects of their separate purchases of their first homes in Orange County. In 2011 & 2012, Rosalie Cook acted as their agent in each of these purchases and did an excellent job guiding them through all aspects of looking for the right home, putting together proper initial offers, recommending and guiding them through the inspection processes, advising them on the proper approaches to and successfully negotiating the inspection issues, and generally being there to answer and deal with their first time questions, jitters, and issues. I know from all of my discussions with them and with their parents that they and their spouses are extremely satisfied with the homes to which Rosalie guided them. Throughout both transactions, she had her finger on the pulse of the current status and quickly stepped up to secure, through her contacts, whatever was needed to keep things on track. In one deal in particular involving a relocation company (which always presents an additional level of difficulty), Rosalie was able to circumnavigate a barrier which arose at the last minute (and would possibly have added several days to the closing process to her clients detriment) and resolve, to the satisfaction of all parties, that last minute issue. Her willingness to be there for her clients until the last "i" is dotted and "t" is crossed makes her one of those invaluable agents who is a pleasure for both clients, and their attorneys, to deal with. In a business where a lot can (and much does) go wrong, Rosalie kept us informed and truly had our best interest at heart. She helped us to sell our beautiful, but old, home at a remarkable price and then found us our new house in the family-friendly neighborhood we've always wanted.